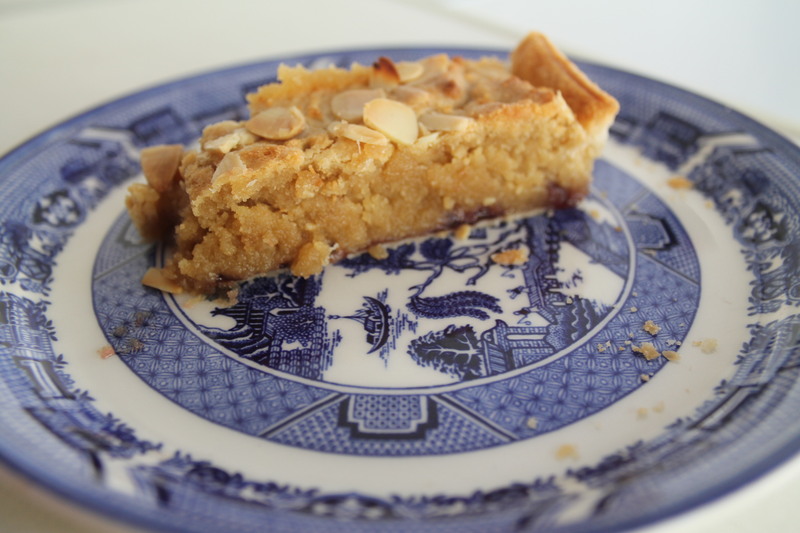 When the local Church has a sale or a fete they always ask, ‘any cake donated will be greatly appreciated’ I usually make a Victoria sponge, but sometimes I make this tray bake Almond Slice. It is always popular. 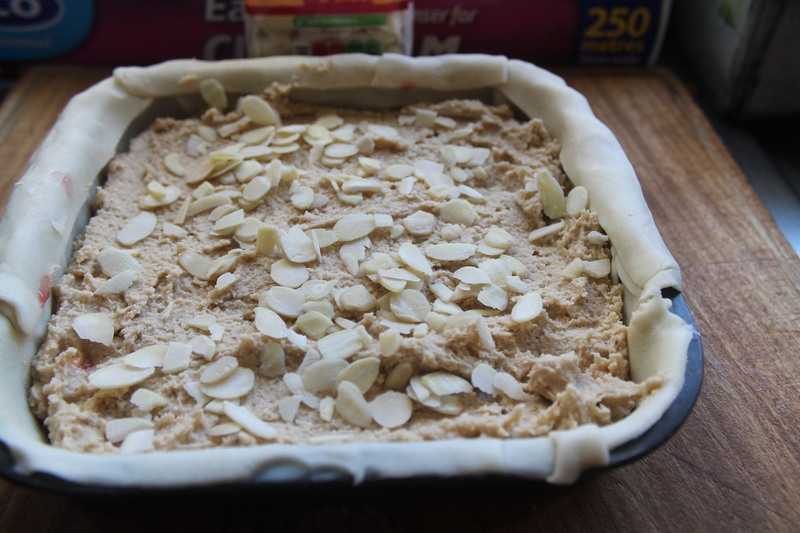 There is no need to pre-bake the pastry case, it will cook along with the filling. Make your pastry and roll out to fit a 7 inch square tin, spread the base with jam, slightly warmed to make it spread better. Now make the filling by creaming the butter and sugar together, then add the egg. Add the ground almonds and ground rice and mix well. Spread this over the jam and sprinkle the flaked almonds on top. Bake for 20-25 minutes until firm to the touch, Allow to cool in the tin then cut into fingers. Enjoy with a nice cup of tea.